we are still working away on e's room. converting from home office to bedroom has had a couple of challenges. first off - what to do with all the books that were stored in this room, and two - how to maximize the small space to allow her to have room to hang-out and study. 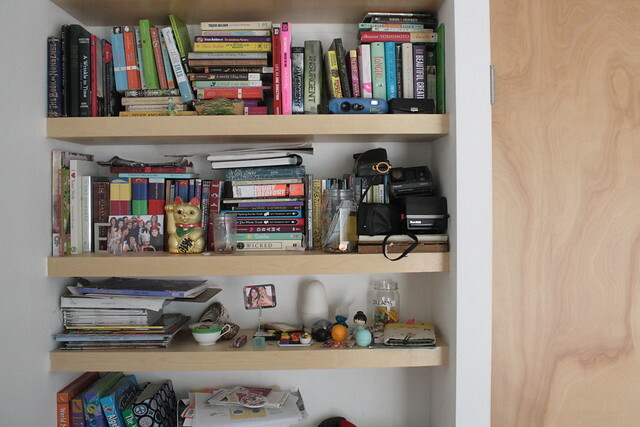 when d first started with this room, he tore out the closet to add built in book cases, and an area for a flat file. you can read about it, and see it here. (2006!!!) 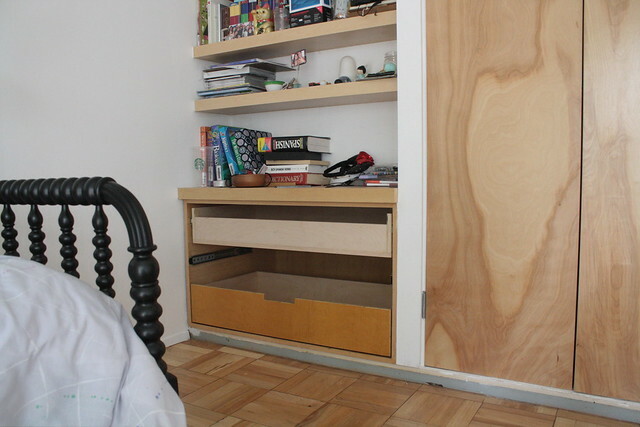 he now has converted the flat file space with drawers so e won't need a dresser. it is perfect. here are some in progress shots before we get to the big reveal. soon!